The Sparticist Uprising was a failed attempt by German communists to overthrow the Weimer Republic in 1919. The rebellion was crushed by the German army and far right paramilitaries. The German Empire fell in 1918. In October the High Command faced certain defeat In the First World War, sailors and soldiers mutinied, strikes paralysed the economy and socialists seized power. On November 9th the Kaiser abdicated, the German Empire was dissolved and the Weimer Republic proclaimed in its place. The new government surrendered to the allies and signed the Treaty of Versailles. Freidrich Ebert of the Social Democrats was named chancellor. His party were left leaning and held the most seats in the Reichstag but were despised by both the radical right and left. The German military supported the new government on the condition it would suppress the Far Left. The Spartacus League opposed Ebert’s government. They were radical leftists who split from the Social Democrats in 1915 over support for the war, and hoped for a full scale revolution like the one in Russia. The party was named after the Roman gladiator Spartacus who led a slave revolt in the 1st century BC. 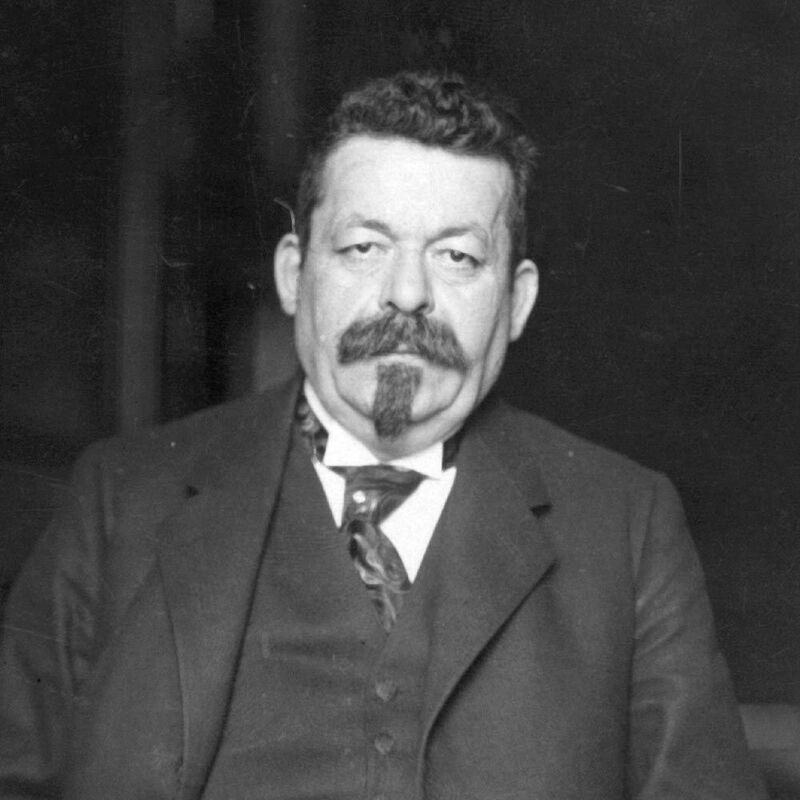 Karl Leibknecht, a lawyer and active member of the Socialist International, and Rosa Luxembourg, a Polish born Marxist thinker were its leaders. Both were of Jewish descent. The Spartacus League opposed capitalism, militarism and the aristocracy and demanded ‘All Power to the Workers and Councils’. Although they had supported 1918 Revolution, for them the Social Democrat compromise was not enough. In January 1919 Ebert fired popular Berlin police chief and communist sympathiser Emil Eichorn. Eichorn’s dismissal triggered public demonstrations and a general strike across the city. By the 5th the workers were revolted. Though Leibknecht and Luxembourg had previously opposed an armed insurrection so soon, this was their opportunity. 500,000 workers armed themselves, took over the city and proclaimed a new government led by the Spartacus League. 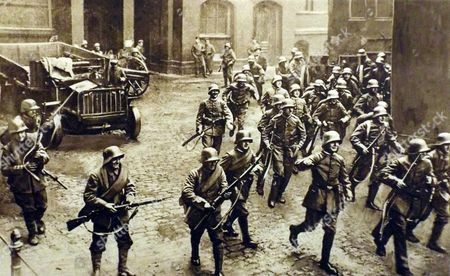 Ebert enlisted the Freikorps to quell the uprising. These were right wing paramilitaries formed by disillusioned veterans who blamed Germany’s defeat on socialists and Jews – the ‘Stab in the Back Myth’. Well-armed and battle hardened, the Freikorps used menacing imagery on such as swastikas, skull and crossbones and were a law unto their own Though no fans of Ebert’s Social Democrat government they hated the communists more. 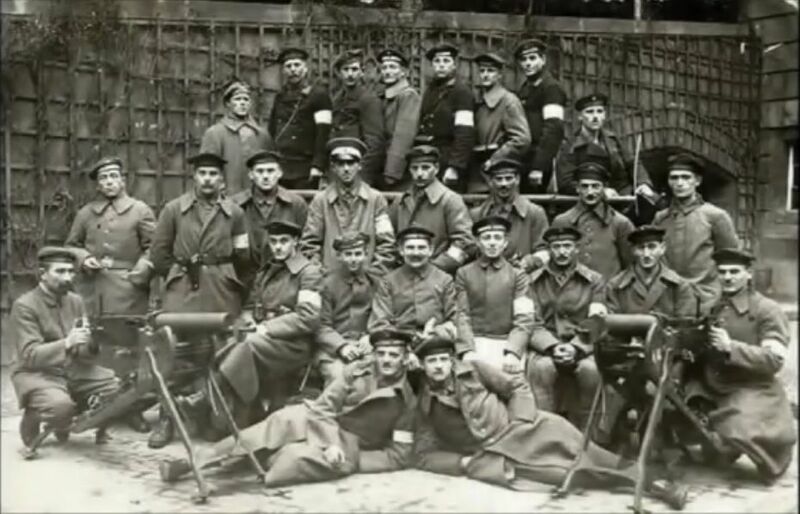 On the 6th of January Freikorps units stormed Berlin. The revolutionaries were no match for the well-armed militias who crushed the uprising in a matter of days. On the 15th January Leibknecht was shot in the back and Luxembourg beaten to death with rifle butts. Many years later, the Spartacist leaders became martyrs to the East German regime and the modern German left. Beset by inflation, economic turmoil and a bruised national ego, Weimar Germany existed in a perilous state threatened by both political extremes. The Spartacist Uprising was the first of many failed insurrections until the Nazis seized power in 1933. Had Germany fallen to communism instead of fascism history could have taken a very different turn. This entry was posted in history and tagged 1910s, berlin, communism, europe, germany, karl leibknecht, marxism, revolution, rosa luxembourg, socialism, weimar republic by Para. Bookmark the permalink.